Home > Blog > What is Onboarding, and Why is it Important? An article published in the Harvard Business Review reported that almost 33% of new hires start searching for a new job within six months and 23% of new employees leave their job within the first year. The article suggests that using the wrong technology and the failure to create a coherent onboarding process can leave new employees feeling frustrated. Unfortunately, research has found that 22% of survey participants had no formal onboarding program. Additionally, where businesses did have an onboarding program, only 28% stated that it was highly successful. Given the importance of onboarding in relation to the retention of quality employees and costs savings, it’s critical for business owners to understand what onboarding is and its importance to their organization. According to hrzone.com, onboarding, which is also referred to as ‘organizational socialization’ is where new hires are physically, emotionally, and professionally incorporated into the existing culture and operations of a new workplace. Leaving new hires to their own devices isn’t an effective way to develop competent employees. Businesses need to ensure that employees feel valued and understand every part of their job. A successful onboarding program helps new hires to feel like they are part of the team. They will also have an understanding of how things are done and how their role contributes to the overall success of your business. Reduced employee turnover – It’s estimated that replacing an employee in a managerial position can cost an average of six to nine months’ salary. The Bureau of Labor Statistics reported that people typically have nearly 12 jobs between the ages of 18 to 50. This demonstrates that employees won’t hang around if they aren’t happy at work. Consequently, employers need to do all that they can to retain good employees. The Harvard Business Review report entitled The Impact of Employee Engagement on Performance found that 71% of respondents believed “employee engagement is very important to achieving overall organizational success.” Onboarding provides businesses with the opportunity to help employees to become engaged in the business culture. Increased productivity – Employee onboarding results in 54% greater productivity because new hires are able to learn from existing employees and master their roles at a quicker rate. US and UK businesses spend around $37 billion every year on employees who are unproductive because they don’t understand their jobs. The length of the onboarding process determines the level of an employee’s productivity. It’s common for businesses to spend about two months on employee onboarding. However, staffing and HR experts advise that employee onboarding should last at least one year to avoid employee turnover. Defined roles – A major part of employee onboarding is training on how to carry out the job. Onboarding brings the job description to life by explaining what’s expected of the new employee. At the end of the onboarding process, the new employee should be aware of how their role fits into the team and the business as a whole. Employee onboarding should result in the new hire feeling like they’re a valued part of your business and therefore have the motivation to remain on the job while doing their best work. Less employee stress – Starting a new role can be stressful for new employees. There’s so much for new hires to consider including whether they will fit in and how to manage their responsibilities. 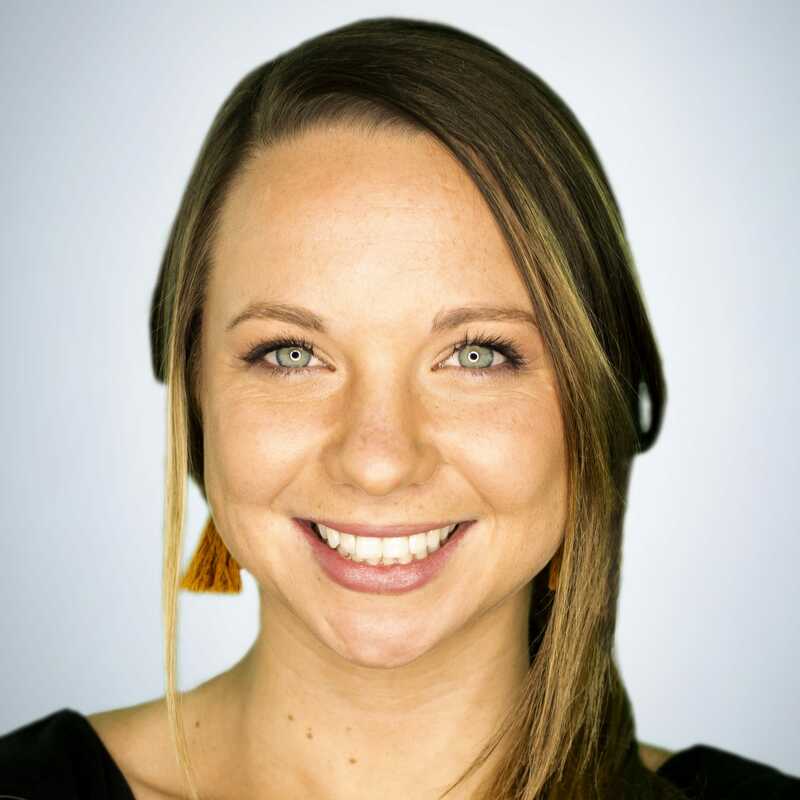 Business owners can reduce the anxiety and stress that their new hires feel by welcoming them to the team and providing all the tools and information required to do the job. Employee onboarding should result in new hires building relationships with existing team members. Facilitating good team relationships early will help to reduce any tension in the future. Take time to plan – You’ve invested heavily in recruiting your new hire, so you should spend time planning what will happen when they arrive at your place of business. Work out when and how your new hire will be trained, how you’ll introduce them to the team, which meetings they need to attend and what projects they will be working on. Organize their workspace – If your new hire shows up and their desk or workspace isn’t ready, they will immediately feel undervalued. They will perceive this lack of preparation as an indication that you don’t care enough about them joining the team. Avoid this poor first impression by working with I.T (or any other relevant department) to get the necessary equipment ready before your new employee starts work. You can make your new employee feel extra special by adding a personal touch, like a welcome banner or plaque. Assign a buddy – You should arrange for your new employee to shadow an existing team member. This will help the new employee learn from people who are doing the job and will also help them to build relationships with their colleagues. Use different training options – The onboarding process should last for at least six months. Consider using different methods to train your new employee to increase the chances of them retaining the information. You can use a mixture of online and offline methods to train your new hire to ensure that they remain engaged in the onboarding process. You can start employee onboarding before your new hire shows up at your place of work by sending them documents to complete in advance. Providing the necessary documentation beforehand saves time when the new employee comes to your workplace. Sending the documents ahead of the start date also shows your new employee that your business is organized and on top of admin tasks. If you opt to send your new employees’ documents before they start, you should do so using a secure portal rather than email. Deputy contains the functionality to send new employees the relevant documentation as a PDF. Why not get your new employee accustomed to communicating with your business through one system (as opposed to using SMS or email)? Set up a time to chat with one of our reps and find out how Deputy can create a great first impression for your new employees and take the hassle out of using different channels to communicate. Tax forms – For example, W-4 or W-2. Identification forms – For instance, 1-9, to verify the employee’s identity and employment authorization. The new employee must provide valid identification to accompany the form. Direct deposit forms – To ensure that the employee is paid into the correct bank account. Expectations of the job – You should provide your new employee with a copy of the job description and the offer letter as a reminder of what is expected of them. Benefits package – Your new employee will need an overview of the benefits your business offers. They will also need to be notified about health coverage, including enrollment deadlines. Emergency contact details – You should have a designated form to record the details of your new employee’s emergency contact in the event that an incident (or accident) happens at work. Some business owners use the terms onboarding and ‘orientation’ interchangeably. However, these two aspects of welcoming new employees are similar, but different. Orientation usually takes place within the first few days of an employee starting a job. New employees are normally oriented in groups from several departments. Orientation is generally formal and takes place in a meeting room setting with a presenter relaying important information about the business. Leaders sometimes attend the orientation sessions to introduce themselves and talk about their roles. A description of the business purpose, values and vision. Leaders need to take this opportunity to explain how these values translate to their work and what the vision means for the business in a practical sense. All paperwork must be completed. New employees should have access to someone from HR to assist in completing the relevant forms. Someone should explain the benefits package to your new employees. Issues like the type of health coverage and whether they will be entitled to The Consolidated Omnibus Budget Reconciliation Act (COBRA) should be discussed. Health and safety policies need to be explained to new hires. This part of the orientation should be done by a designated safety officer. New employees should be given a tour of the building to identify the location of fire exits and other safety points. Administrative procedures, such as logins and passwords, can be facilitated by IT personnel. New employees should also be informed about whether they can use their own devices to access business systems. If this is the case, they should be provided with written processes and terms. Orientation is only one part of the onboarding process and provides new employees with the information they should be aware of. Orientation is a one-off event and can be completed within a few days. On the other hand, onboarding takes place over months and the aim is to motivate new employees to stay with the business and to be invested in their work. Focuses on the new employee’s role in the business. Is done at one time. Can take place in a classroom setting or via online training. Provides an overview of the business. Prepares the new employee for the practical aspects of carrying out their job. Focuses on the new employee’s role within the department. Takes place on the job. Content is specific to each new employee. The purpose is to provide training to increase retention and productivity. Orientation and onboarding are similar, but they serve different functions. Businesses need to use both orientation and onboarding to help new employees settle in and have a higher chance of job satisfaction. If you’re onboarding hourly employees, consider using a tool that helps to facilitate the process as well as managing schedules. 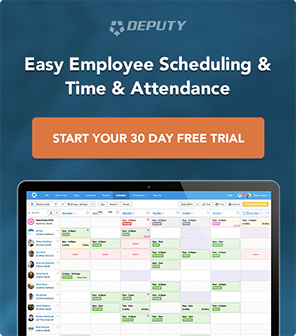 Sign-up for a free trial to see how you can use Deputy to arrange schedules that show your business in the best light to your new employees.